A home is so much more than just an investment, it’s a place where you feel comfortable, secure, and it’s been there for you through the ups and downs. You’ve likely raised your family there, watched them grow from one year to the next, tended to the gardens and maintained the lawn, and shared many great gatherings with family and friends. Deciding to sell your home isn’t always the easiest decision and no one respects that more than us. When it’s time to move into a bigger home or downsize into something a little more reasonable, The Wallner Team wants to help you get the absolute most out of your biggest investment. Curious to find out what others in your neighborhood have gotten for their home? Put the best team in St. Louis to work for you! Learn more about our group of St. Louis real estate agents and find out more about our effective marketing strategy. Here are a few links to help get you started! 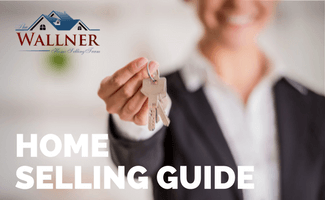 The first step to selling your home is deciding if you’re going to do it all yourself or enlist the services of a professional. Selling your home in today’s market takes a lot more than just sticking a For Sale sign out front and hoping for a buyer to come along. To get the best market value for your home, you’re going to need someone who’s been in the industry long enough to know that the market isn’t the same that it was 5 or 10 years ago. This expertise is something that only a certified and experienced agent can provide. A Wallner Team selling expert can tell you just how much your home is currently worth in today’s market and recommend home improvements based on what would add the most value to the listing price. Learn more about our top selling agents now or send us a message to request a meeting with one of our selling experts. You wouldn’t go to a job interview wearing sweatpants, so why wouldn’t you fix up your home to catch the eye of potential buyers? Your home needs to be in the best possible condition to attract serious buyers. For newer homes, this could be as simple as a thorough cleaning in every nook and cranny, whereas older homes may require a small upgrade in the kitchen or a bathroom. It all comes down to three things: repair, clean, and stage. Once your home is show-worthy, we’ll get some professional photos taken to highlight every part of your home. The price of your listing can leverage the sale of your home. You want it to be reasonable yet competitive. Too low of a price and your home will sell quickly, but you might be shortchanging yourself. Too high of a price, and your home could be one the market for quite a while. A real estate agent can help you find the sweet spot, the happy medium of listing prices. Your real estate agent will work with you to set a competitive price, one that garners offers but it also fair to you. Want to find out what your home is worth right now? Use our comparative market analysis tool to find out roughly how much your home is worth in the current market. Once you’ve decided upon the price of the listing, it’s time to get it noticed! The way homes are marketed nowadays is quite different from 10 years ago. Although the old-school methods of putting a sign out front and holding an open house are still effective, you also need to factor in the MLS, social media, online advertising to really expose your listing. 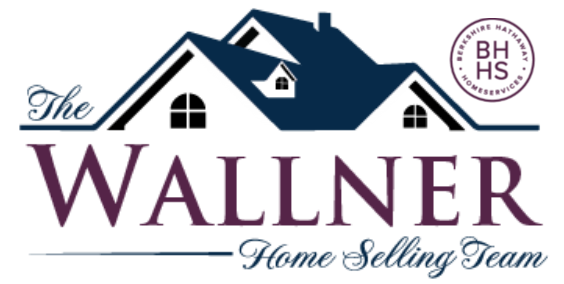 When you list your home with The Wallner Team, we use our unique marketing strategy to get your listing in front of real, legitimate buyers. You may get one or multiple offers on your home, each offering their own price, terms, conditions for you to think about. It’s up to you whether you want to accept or reject an offer, but know that we’ll be with you every step of the way. As your selling agent, we’ll negotiate with the buyers on your behalf to ensure you’re both getting a good, fair deal. One of the most common contingencies that a buyer will want is to perform home inspection before closing. It’s a good idea to either have your own home inspection done before putting the house up for sale. At the very least, you should anticipate that there could be something wrong with the home, and you may be on the hook to fix it before the final walkthrough. Once the home inspection and final walkthrough have been done, it’s time to seal the deal! It’s time to hand the keys over to the happy new owners of your home. Although most of the transaction is over and done with, your agent will still be around to help you tie up some loose ends. If you need any professional services, like a cleaning crew or moving team, we’d love to give you a list of our preferred vendors. We’d love to help answer any questions you may have about the selling process. No question is too mundane – we want to help! Send us a message or give us a call at 314.810.7653 to learn more about how we guarantee to sell your home, or we’ll buy it ourselves!